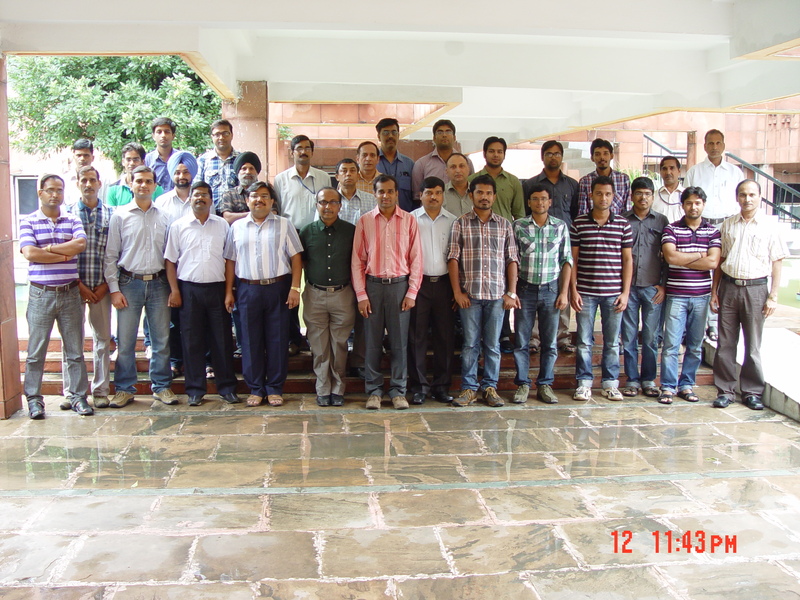 Mr. Shukla and I with the group of 28 who challenged Vibration Level 2 and Level 1 certification at PMI, Noida during last week of August 2012. 22 of these curious and brave souls successfully met the challenge. Mr Shukla (from NTPC) is on my right and Mr. Anil Sahu is on my left. Both were my co-facilitators. As usual I am the shortest of the lot in dark green shirt. Self Organized Nemetic Environment for Learning (SONEL) is a learning environment based on self inquiry of a person’s own problems helping one to instantly learn from those; supported by rich dialogs that build on each others ideas, questioning and peer learning aided by finding specific information from the internet. Let me illustrate this through a practical example of how it is done. NTPC (National Thermal Power Corporation) is the largest provider of power in India. They have a mission, which simply is to keep availability of their plants at the highest possible level. Since power plants like any other plant is a complex system it is not possible to plan out operation and maintenance activities in such a way to avoid sudden breakdowns and outages. In order to do so they would have to base their actions on their understanding of the complexity or complex behavior of the plant and machinery. That is how we can work with any complex system, which creatively on their own keep changing their behavior. So the strategy is fairly simple — a) Understand the complex behavior of a complex system b) Spot an incipient failure growing or emerging c) Model that possible failure to determine what best can be done d) Take action to eliminate the failure or avoid it or reduce the risk of the failure to the minimum possible level e) Keep monitoring for the next emergence to appear. In technical terms such a strategy is known as Condition Based Maintenance. That is the traditional name. I don’t see any reason as to why it should not be called Complexity Based Management since the principles just remain the same. The same principles can be used over and over again to understand, decide and act in any complex environment, such as in organizations. I shall leave that discussion for some other day. Coming back to our story one of the vital tools to implement such a strategy of knowing things in the now is Vibration Analysis, a very powerful tool since all machines and complex systems are dynamic and therefore vibrate in some way or the other. 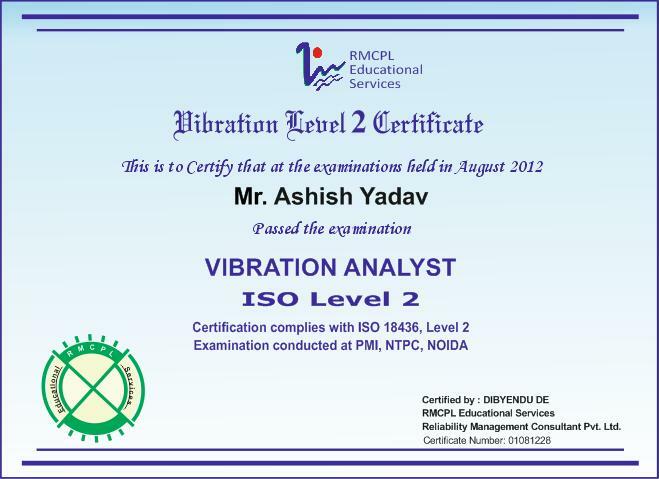 The tools and instruments of vibration analysis faithfully record the amount and the nature of vibration in various ways. However, only a human being can make sense of such records and form an understanding of what is going on. But the depth of understanding would vary from person to person depending on a person’s feel for complexity and understanding of the subject of vibration. NTPC realized this very vital gap of enhancing human understanding in the whole strategy. This gap can only be filled through insightful and in-depth learning from a person’s intimate understanding of complexity informed by his/her practice. Hence they decided to expose as many people as possible to the subject of vibration analysis where they learn and apply their understanding to maintain a healthy level of plant availability. So, every year NTPC organizes this all India SONEL event in Vibration Analysis Level 3 to Level 1 for their plants scattered all over the county. A suitability criteria is given, which basically sums up as ‘Are you practicing vibration analysis and complexity on the field?”. Against this criterion practitioners who are interested in challenging Level 3, 2 or 1 certification apply. Along with their applications they submit two case studies reflecting their failed struggle to understand the nature of complexity. The more intense their struggle as reflected in their cases better are their chances of being selected for the course. The idea is one can really learn very deeply from his/her cases and struggles. Only 25 students are admitted per batch. Each candidate admitted to the course then submits at least two more case studies 15 days before the start of the course. From all the submitted cases (around 100 in number) the course work is carefully designed with a collation of appropriate questions to be used as triggers for live on-going classroom dialogs and peer learning. Then a 4 day live workshop is conducted in the style of a concert. The only difference being that participants perform while I and my co-facilitators take up the role of the conductor. One by one participants lay bare their individual cases to the entire class with the hope of seeking a resolution of their problems. They learn from the questions that are posed to them. They learn from the ideas of others. They learn from the successes and mistakes of other practitioners who are their peers. Through the interactive sessions facilitators spot more weakness in the crowd and note them down for addressing them later. After some time through the rich dialogs the participants learn whatever they want to learn and decide on their actions customized to the problems they faced. The atmosphere of serious play is constantly charged up further through more questions, interjections, explanations, suggestions and guidelines if any. The questions for the final exam are formulated from whatever is happening live in the class and from the case studies. The participants challenge the test by the end of the 4th day. Each participant is allowed to carry one A4 sheet of paper with their own notes, whatever they like to the examination hall. Obviously, I haven’t seen them using those notes since the final test is not a test of their memory, which I know they have in plenty. They get certificates as per the bands they achieve. For example, 90% and above get Level 3, 70 to 90% get Level 2 and 50 to 70% get Level 1. Below 50% get a certificate of participation. Next year those in Level 2 come back to challenge Level 3 and those with Level 1 or with a participation certificate come back to challenge Level 2 or Level 3 along with a new batch of fresh candidates. They can participate in the events twice a year. There is another interesting thing that happens on the side. A two hour video conferencing is conducted for all the plants for those participants who have already secured Level 3 certification. It is a type of a feedback session trying to gauge as to how well the participants are doing. In most cases I found that their peers talk highly about them and their subsequent achievements in practice. That makes me proud indeed. Why not? Continued Peer Recognition is the best certificate in the world. Self organized learning is learning on ‘my problems‘ through interactions with other human beings (including those on the net). The role of the facilitator is important. Conducting such a Self Organized Nemetic Environment for Learning (SONEL) is a tough job. One has to be on his/her toes through all sessions — in sharply creative and attentive mode. The quality of the interactions is important to achieve the learning goals. That is the job of the facilitators. This time around in Dec I shall tweak SONEL a bit more. The participants would set their own questions for an interim exam. This certification is now widely sought in India and employers are happy to see this certification for employment.